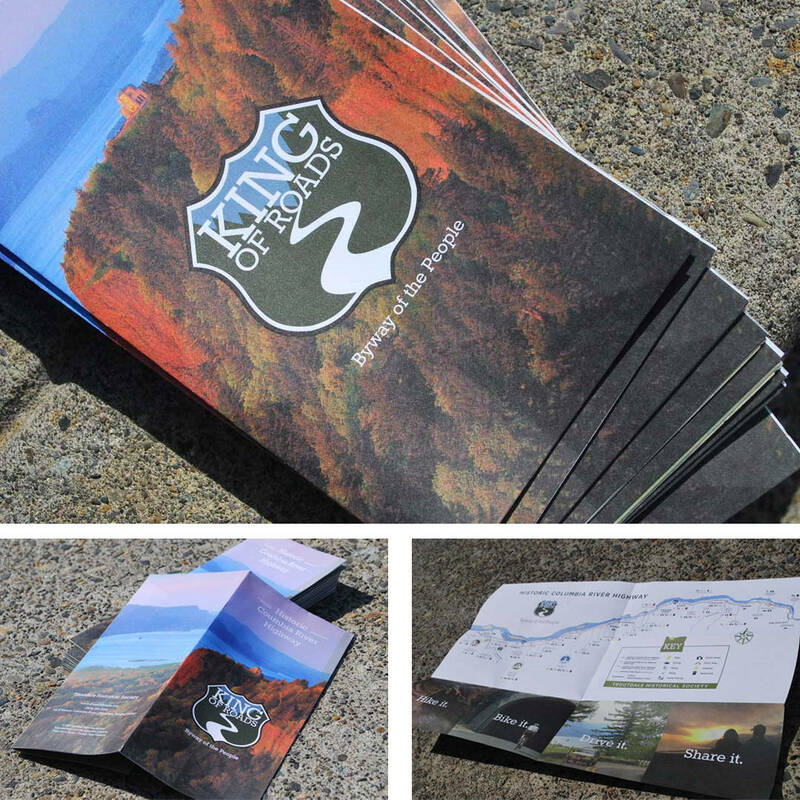 Lewis Creative wins best Integrated Campaign for THS King of Roads Campaign at the 2016 AMA MAX AWARDS in Portland. 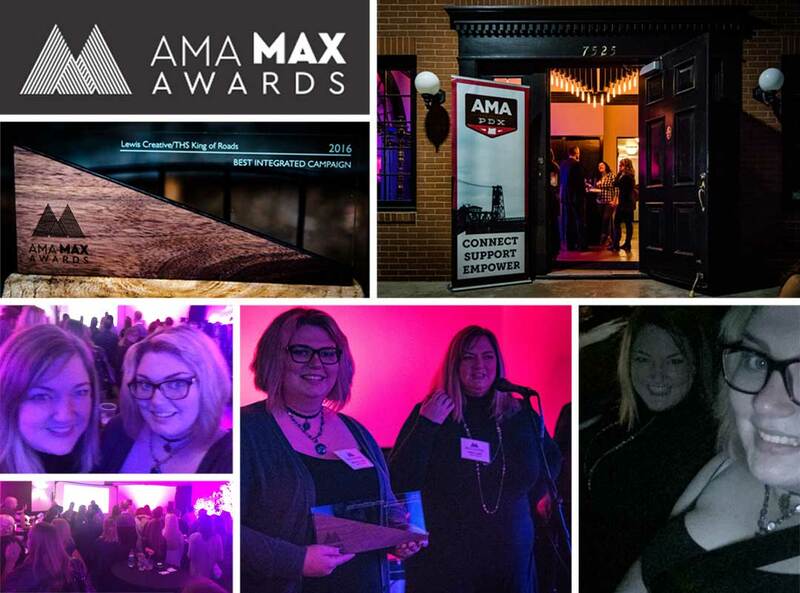 We’re proud to announce that Lewis Creative has won the American Marketing Association (AMA) MAX Award for Best Integrated Campaign for 2016. 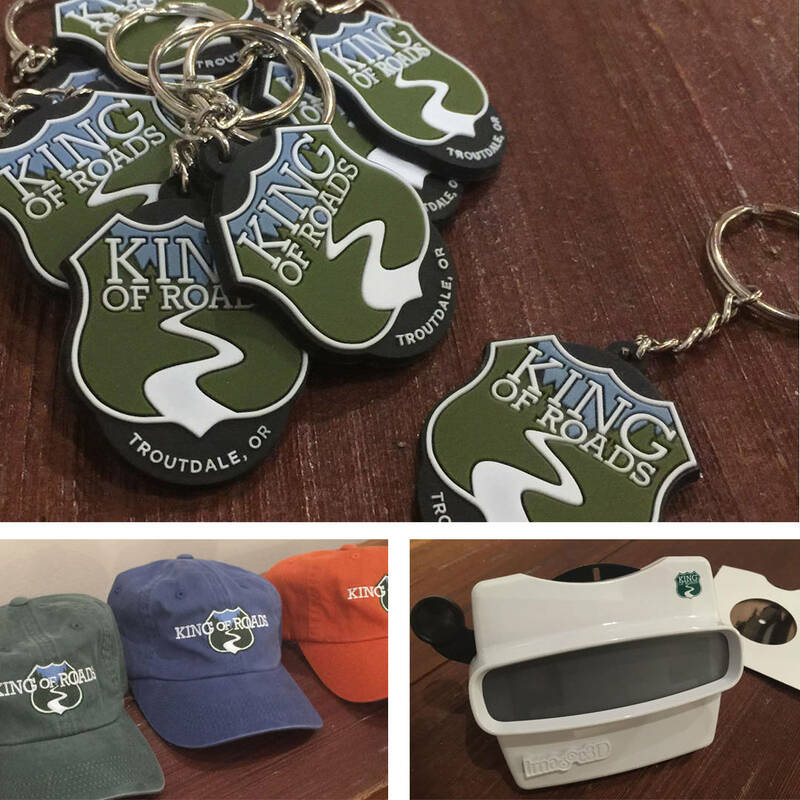 We won for our brand and launch campaign of the King of Roads Exhibit, a project which included logo design, icons, print materials, responsive website, mobile app, promotional videos, exhibit graphics/support, branded merchandise, maps, and ads. This was a very competitive year at the MAX Awards and we were up against some incredibly talented Portland design agencies. Other category winners were Mercy Corp (Mercy Corp branding), Trendline Interactive (Airbnb email), Grady Britton (Travel Portland experimental), Grady Britton (Oregon Coast Aquarium print advertising), CRKT Marketing (Columbia River Knife and Tool video), and Mambo Media (Jane’s Vanity website). 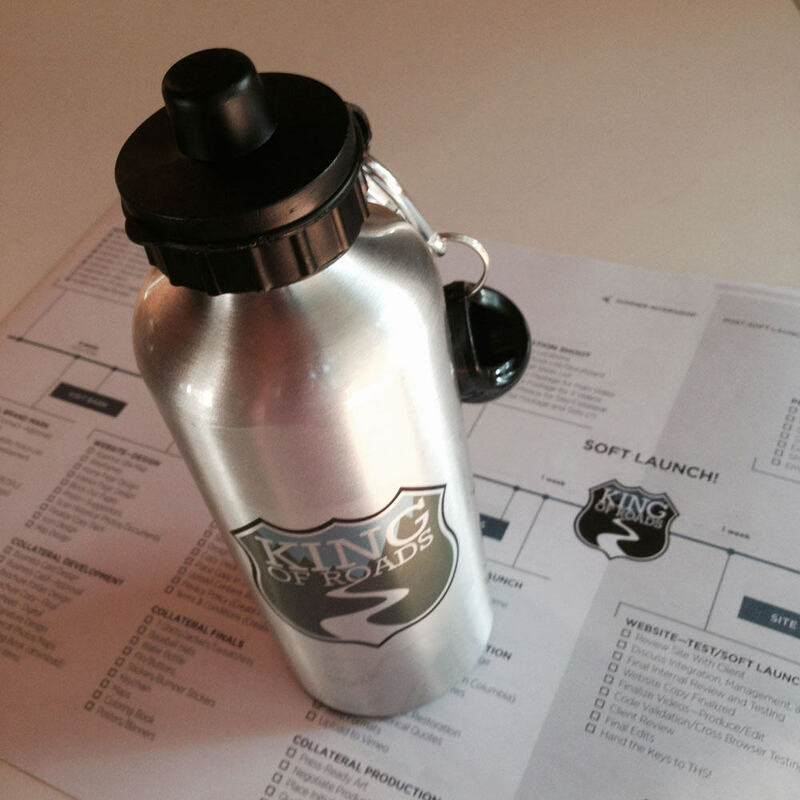 WHAT IS AN INTEGRATED CAMPAIGN? DMD student interns from CAL helped us execute this large campaign on a small budget. Yep, high school students produced the bulk of this work! We are thrilled with the final product and are super proud of our intern team. The Troutdale Historical Society (THS) Barn Museum hosts the King of Road Exhibit celebrating the 100th Anniversary of the Historic Columbia River Hwy, one of the greatest engineering marvels of the last century. The new THS exhibit at the Barn Museum celebrating the 100th anniversary of the Historic Columbia River Highway (1916-2016) needed a brand and launch campaign that would position them onto the national stage as the Gateway to the Gorge. Create a brand and launch campaign that honored this amazing engineering accomplishment. The campaign included developing a logo, icons, color palette, exhibit graphics/support, messaging, digital concepts, promo videos, website, educational videos, mobile app, digital games and quizzes, press releases, print collateral, newspaper ads, and branded merchandise for the gift shop. Since the official launch in June 2016 (soft launch in October 2015), the feedback at the exhibit is astounding. Visitor numbers are up over 300% in July from last year, and the museum has extended their hours to accommodate the increased visitor traffic. The website, social media, and mobile app reach a national (and international) market. The rack card program has become a staple for Travel Oregon and the Oregon Information Centers. We are excited to see ongoing growth and impact on the community as this years monumental celebration hits full stride.